Hello! 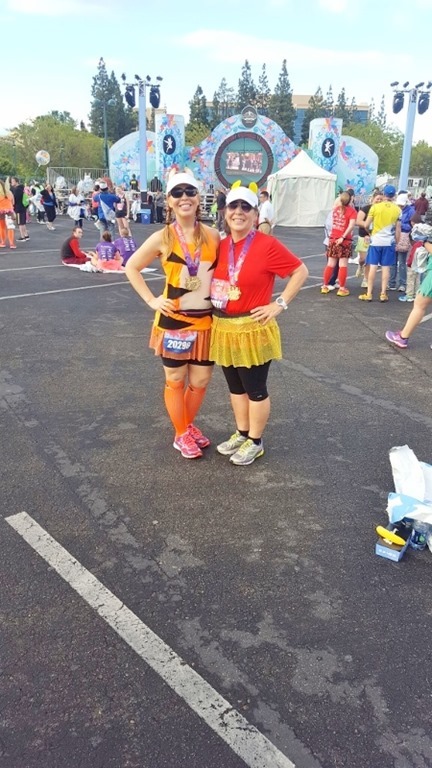 I just ran the Tinkerbell 10K with my mom! 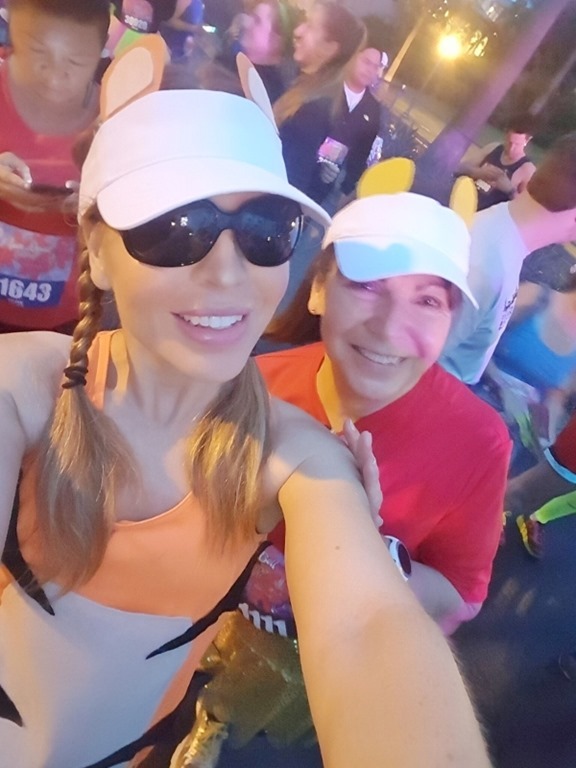 It was her Mother’s Day gift / my excuse to finally run a race with her. 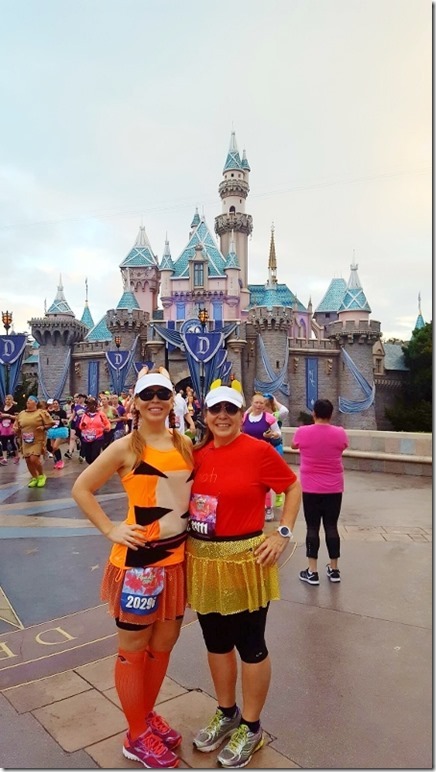 This is a perfect race to run with a friend or family member because there are so many places to take pictures. 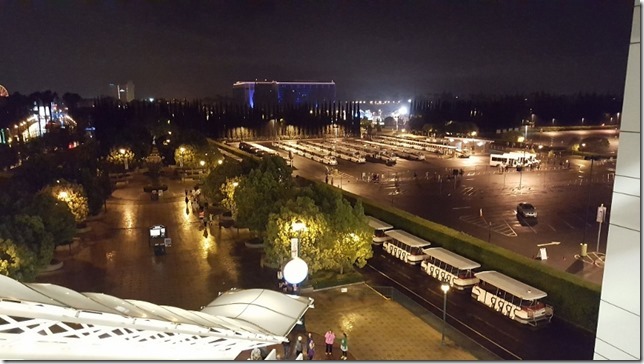 First let’s talk about some race day details… on the way to Disneyland it started to rain! Oh no!! 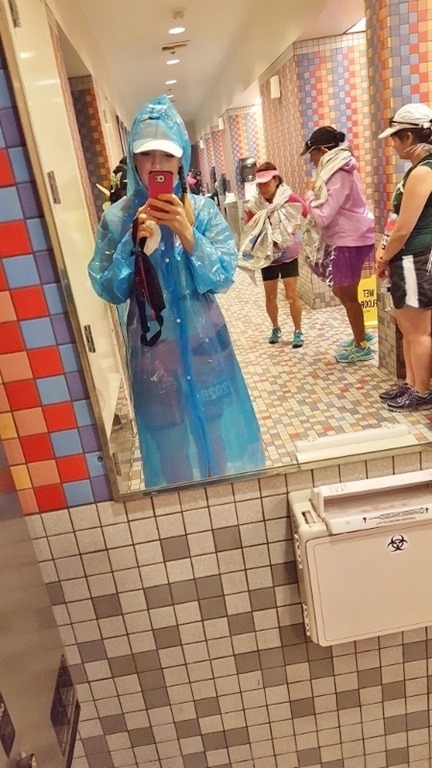 I don’t super mind the rain normally because it’s kind of cool to run in it (since it’s such a rare occasion here). But I knew we would be doing it run/walk style with stops for pictures and that would not be as fun in the rain. When I got out of my car I dug around the back and found a rain poncho! 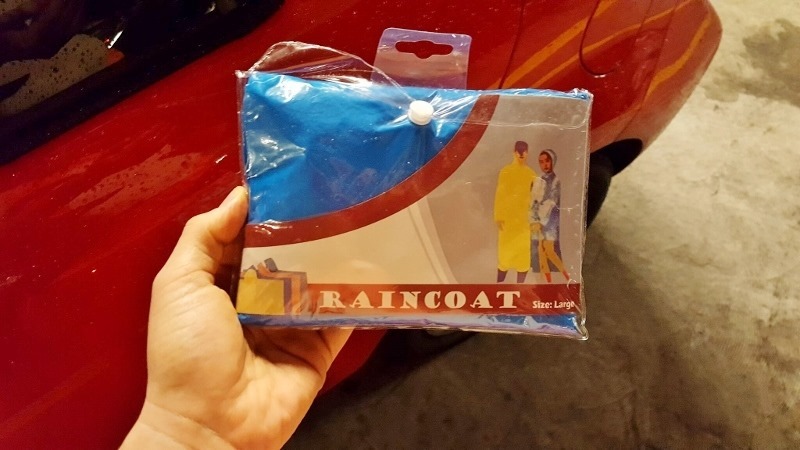 Never leave home without it. I put it on and headed to the restrooms. My mom and I were meeting there and she wasn’t there yet so I had time to mess around while waiting. 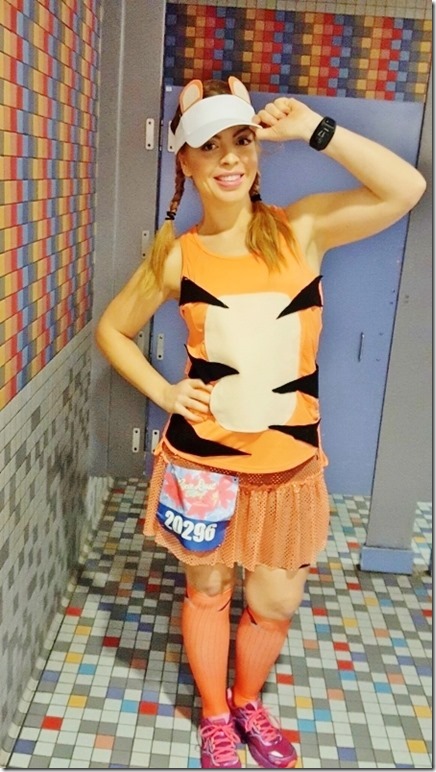 I took a picture of my Tigger running costume in the bathroom because it was still dark outside. The Tinkerbell 10k (and half marathon) start at 5:30am! We lined up in the corral and got ready to go. Luckily the rain stopped!!!! Woo-hoo! When you’re running a race with someone you should make a plan BEFORE the race on if you’ll stay together the whole time. Make sure you know each other’s pace, goals, preference. 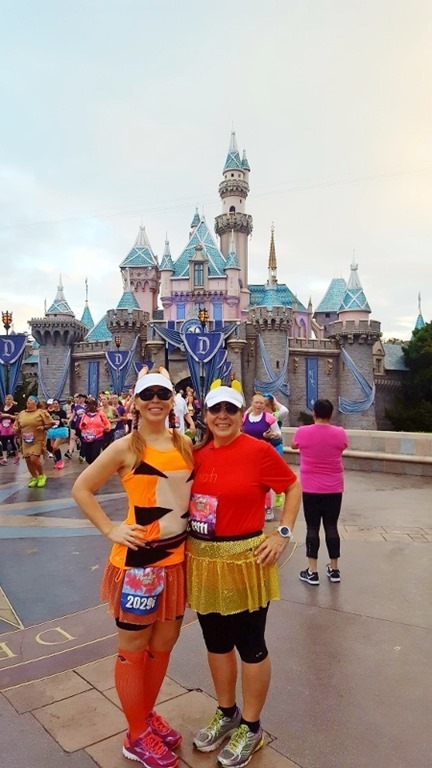 I planned on running with my mom the whole time, but ended up running ahead a few times to check out the character photo stops. I went at her pace when we were together and walked when she needed. She’s been having some knee pain so we had to be mindful of that. 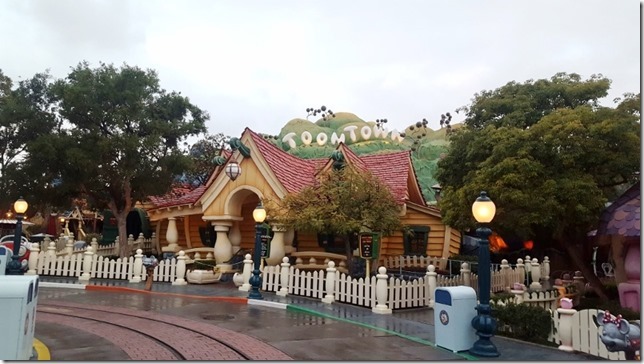 I ran ahead at Toontown to get in line for the character photo stop – but there wasn’t one. There were just people randomly taking pics. It was anti-climactic because I was hoping for a character. 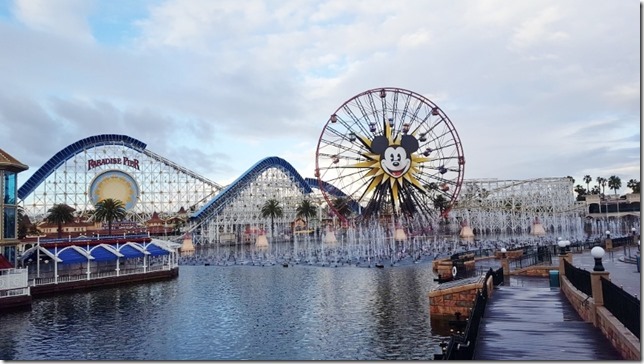 The 10K is great because you spend most of the race inside either Disneyland or California Adventure. 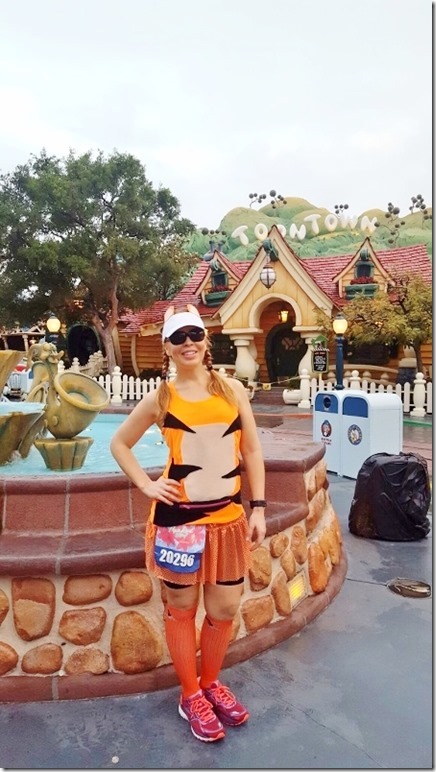 For the half marathon you end up running around Anaheim a lot. 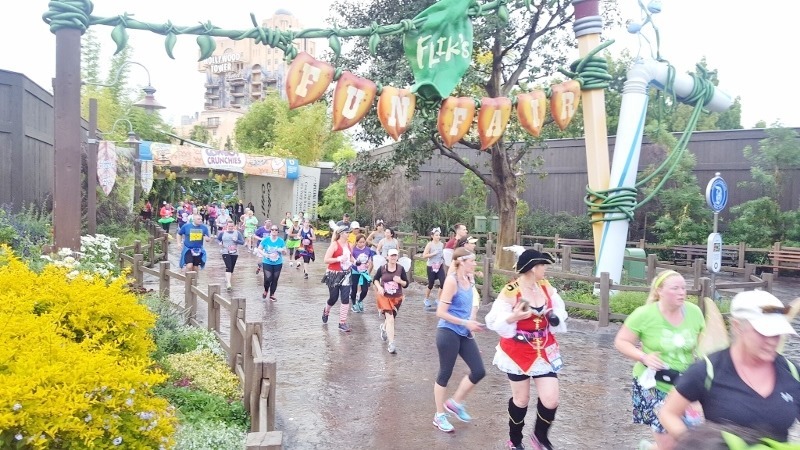 The first mile of the 10K was outside the Disney parks, but then you head into Toontown and run through Fantasyland, the Castle, Frontierland, past the Haunted Mansion, through Adventureland, past Main Street and out of the park near Tomorrowland. Then, you head to California Adventure. We made sure to stop in front of Sleeping Beauty’s Castle – this is probably the best photo op! 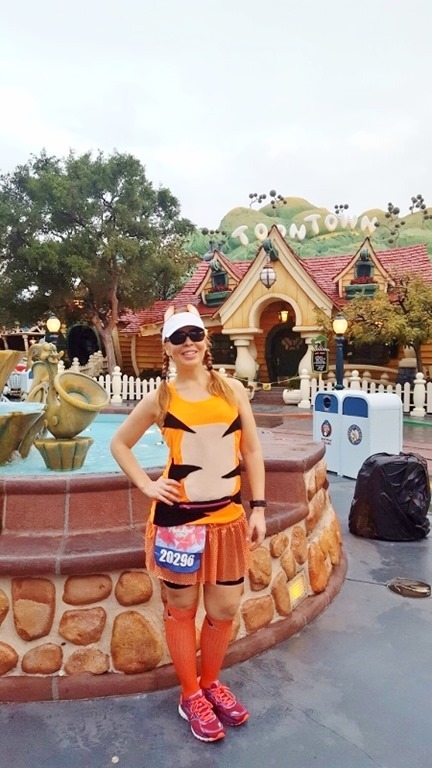 I wanted to dress up like a fun duo and I’ve always wanted to be Tigger for a race so this was the perfect time to do it. 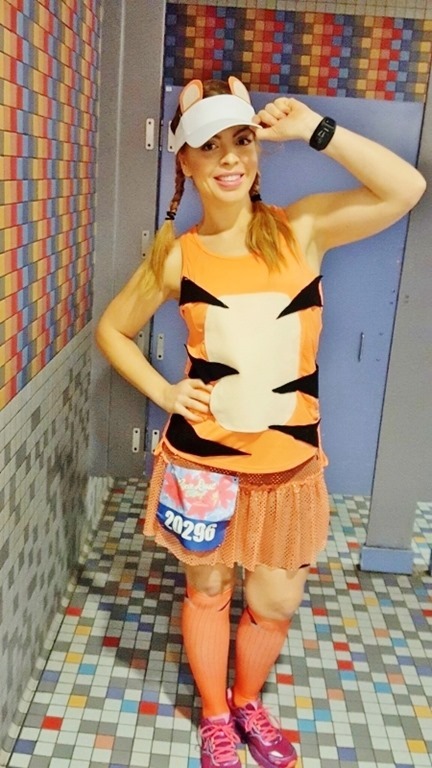 We were Tigger and Pooh and I made the costumes (more on that later). Tip: There are usually Disney cast members available to take your picture. 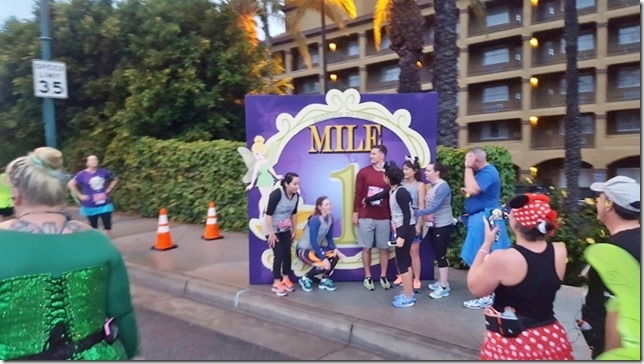 There can be a line for pictures, but when you are paying so much for a 10k (or full or half) you want to make sure you have some good memories of it. Have your phone/camera ready to go so it’s quick. 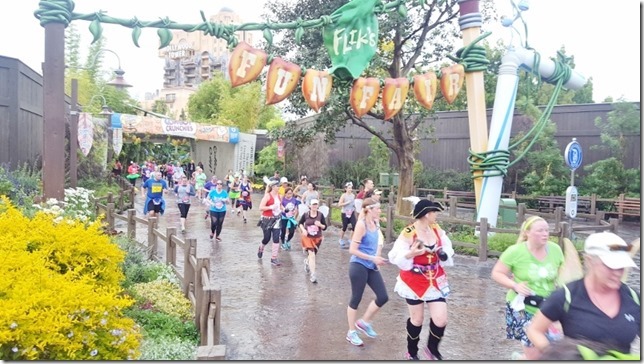 The only bad thing about the Tink 10k was that there were not a lot of character stops on the course this time. Since I was taking it slow with my mom and it was for Mother’s Day we really wanted a lot of pictures. There just weren’t many stops and the characters they had out were unfamiliar (they were random fairies probably because it’s a Tinkerbell race). 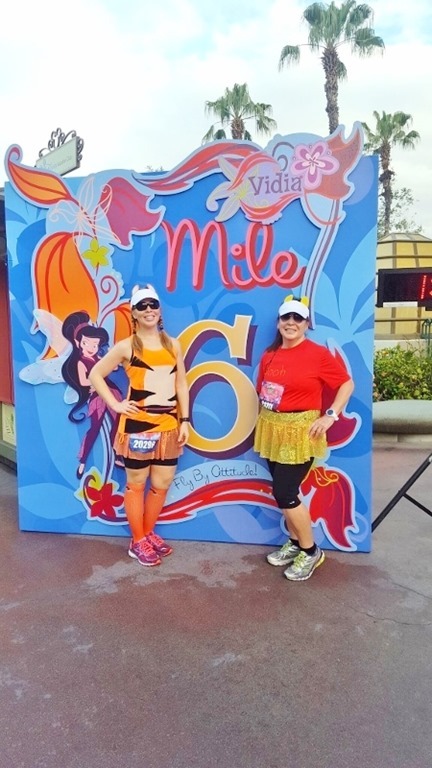 Luckily my mom and I were able to ask fellow runners for a few pictures here and there along the course. We stopped at the Mile 6 marker and even made some friends. Finished!! Our finish time for the 10k is 1:38:54. We had a lot of fun (at least I did, not sure if my mom thinks it’s fun to dress up like a Pooh Bear and run around Disneyland). After the race we grabbed our post-race food and water. They are so organized with the finish line chute! 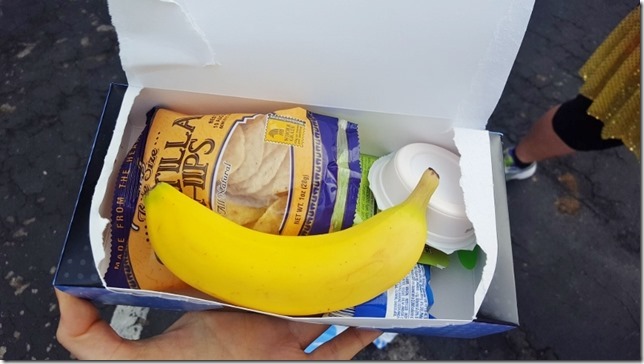 This is probably the most streamlined part of the run – you get your medal, get water, get a mylar blanket, get food and take pictures. Boom boom and boom. None of this is crowded. 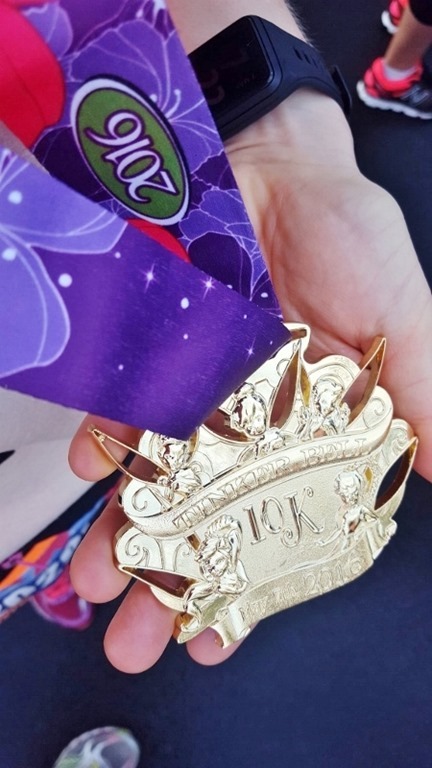 And of course the Tinkerbell 10K medal is the cherry on top. 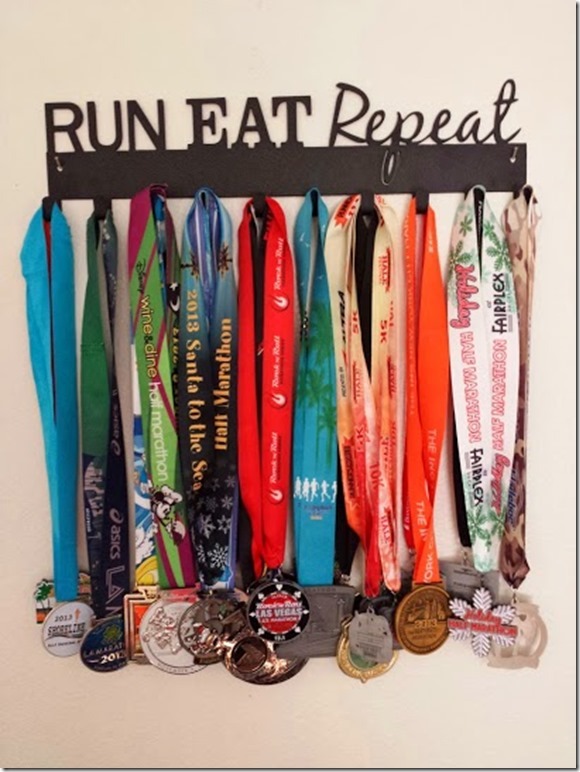 I got my mom a Run Eat Repeat medal hanger from SportHooks for Christmas and she said she’s really excited to hang this one up on it! 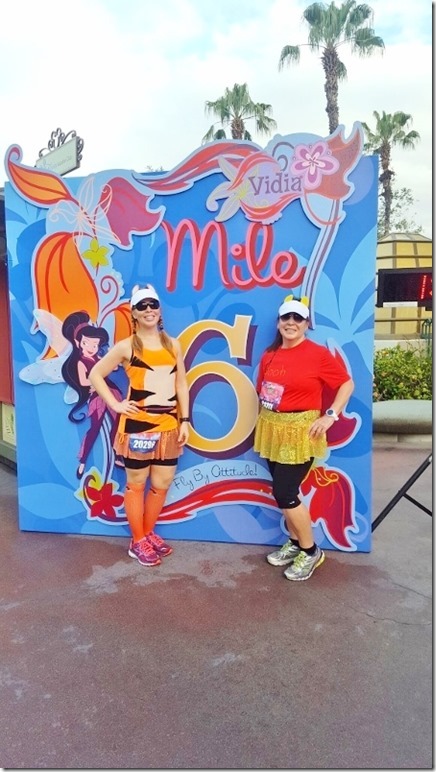 Sorry if I made you dress up in a costume and run 6.2 miles with me. It’s how I show love. Question: What are you doing this fine Mother’s Day? 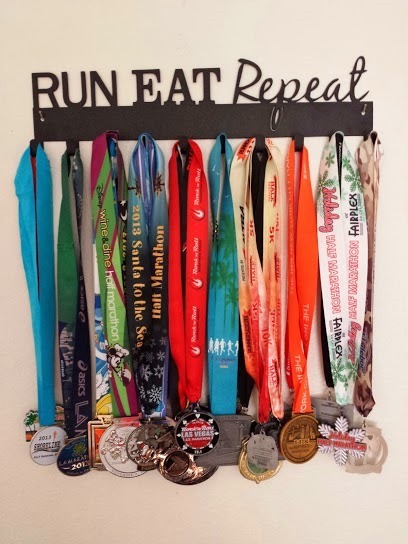 I just recently began running and I absolutely love it. 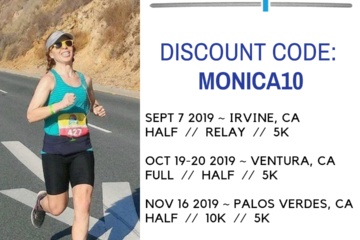 Finding your blog and seeing the races you are a part of has gotten me even more excited to further and strengthen my running and I’m eager to see how far I can go. I was able to run five miles without stopping the other day and I felt so accomplished. 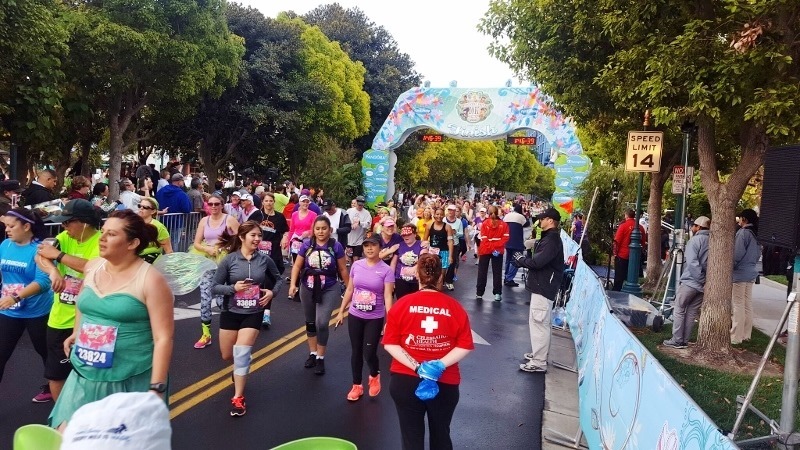 I’m training to be able to run my first half marathon and am hoping I will be prepared for it by the beginning of next year! Sounds like so much fun, your costumes are fab! Such a nice idea to run a race together for Mothers day, my mum hates running so that would be the worst present I could ever get her! Your costumes are adorable! I ran the 10k too. It was a fun race but I was also disappointed by the lack of familiar characters. I was expecting Peter Pan, Captain Hook, and especially Tinkerbell. This was my first tinkerbell race, I usually do the Disneyland half 10k and they have a lot more characters and parade floats. I will probably do Star Wars as my disney race next year. I ran / walked this as well. It’s so fun. 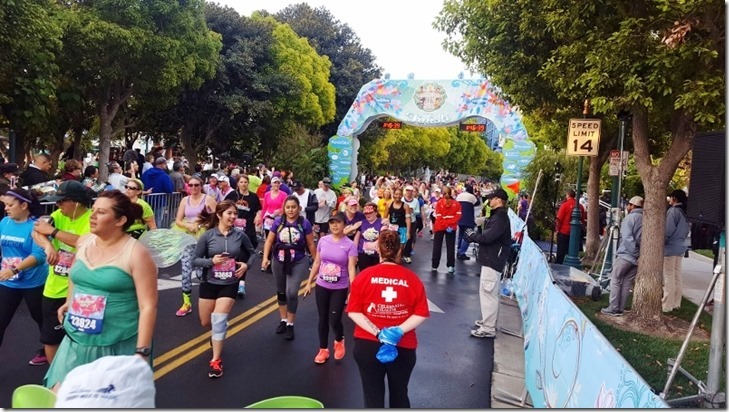 I usually do the half and this year did the 10K to take it easy on my body. It’s an amazing race! Well worth the pricey entry. 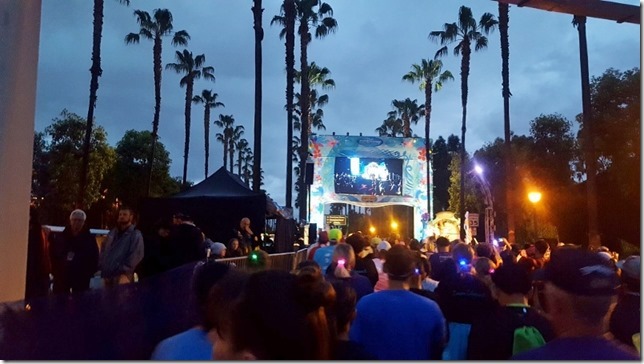 I ran the Tinkerbell 5k last year and it was rainy/drizzly for a bit. Then when I was almost to the finish, the skies just OPENED UP!! I felt bad for all of the peeps that started behind me and the walkers. It’s hard to stop and take pics in the rain and many times they pull the characters off because of the rain. For Mother’s Day my hubby built some raised planter boxes for us; went to church, got my filthy car washed, walked my adorable puppy and went out to dinner. I also did some prep cooking and laundry, but hey that’s MOM LIFE and there are really no days off from that! Glad you did this for your mom; Disney races are truly one of a kind! 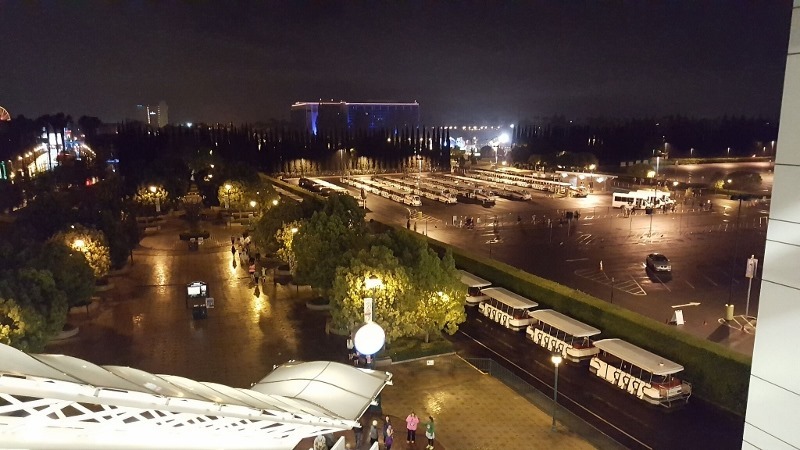 thats crazy it was raining, disneyland races are usually the ones you never think will be wet. good thing it stopped before you started though i hate running in the rain. yall look so cute together, i bet she had fun, how could you not running around the most magical place in the world! what a great experience to share! 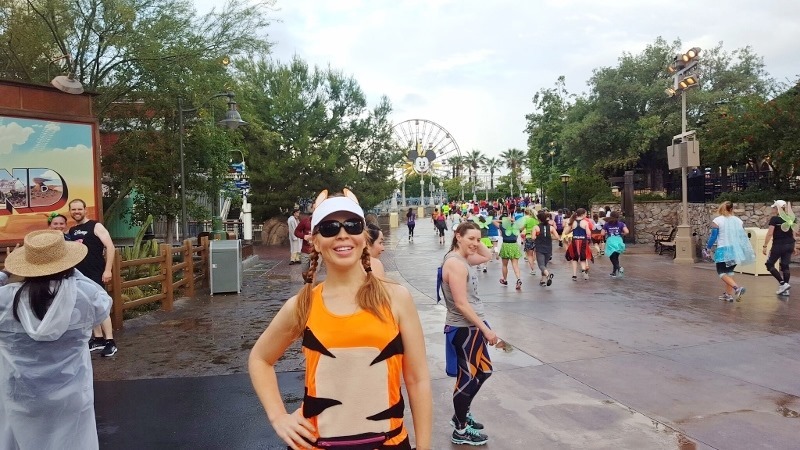 i did a disney half years ago and it’s such a fun race. So fun!! Love your costume! You two are the cutest characters ever! I will be running the Winnie the Pooh Marathon in Ashdown Forest on 15 October which goes over the very bridge on which Piglet and Christopher Robin played pooh-sticks! I have been taking notes from you on what to wear. What a wonderful way to celebrate Mother’s Day – I bet you were both so very proud of each other. I haven’t really thought about that! But I have a friend who’s a new runner that might be sharing soon. OMG everything about this is making me smile. Best gift you could give your mom and what a memorable day! I forced, I mean…asked my dad if he wanted to run the B.A.A. 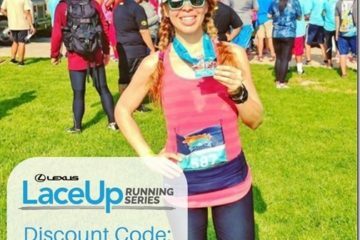 5k with me the weekend of the Boston marathon. We ran it together and had the best time! And noooo…i didnt just run with him because I was terrified he would pass out or die or something. Looks like fun! I spent the day waiting tables, mothers day is super busy.